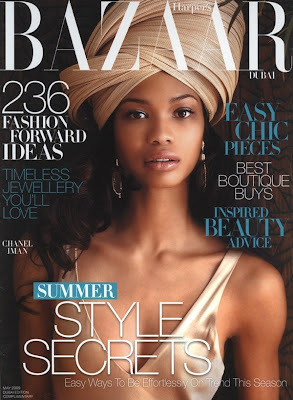 Harper Bazaar Dubai--Talking about Dubai, I really want to go there. Love the cover! I have been so busy with work; but I will be back to post the photo of what I wore to the wedding. I had a blast!!! dubai is crazy cool! go! god she looks amazing on that cover. i llove her! she 1 of my fave models!!!!! u luk like her!